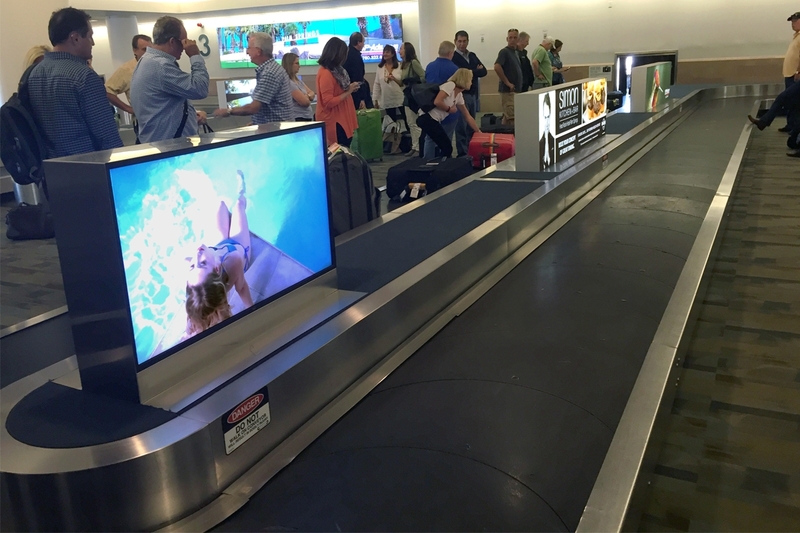 FULLERTON, CA--(Marketwired - December 08, 2015) - Premier Mounts, an internationally recognized leader in the design and manufacture of innovative A/V mounting solutions, has helped the Palm Springs International Airport to integrate three 6x2 video walls and 4 back-to-back enclosures in their baggage claim area. 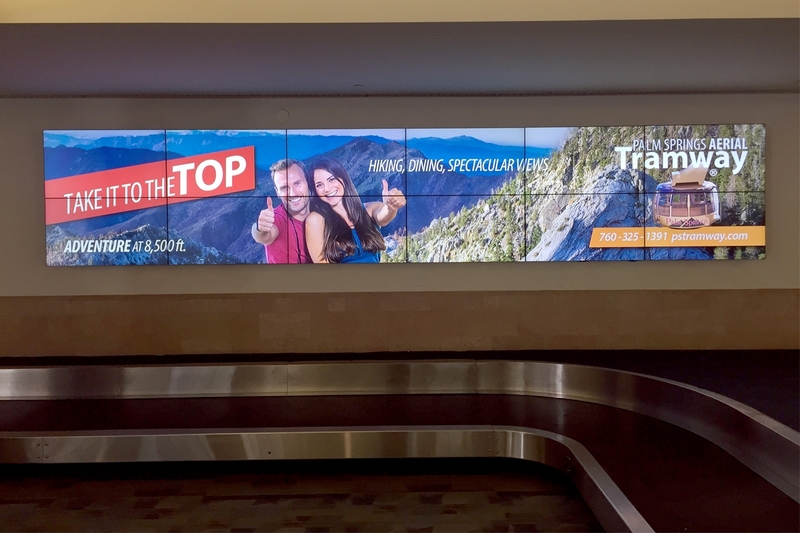 In 2015, Corey Airport Services searched for an easy to install digital signage mounting solution that would fit within the strict architectural guidelines for the Palm Springs Airport, and meet their strict budgetary goal. Their Vice President of Operations, Brigham Newman, scoured the floor at the 2015 Digital Signage Expo to find the perfect solution. After meeting with Premier Mounts' Solutions Group, and listening to several suggestions for stock and partial-custom mounting solutions, along with project management and installation support options, he selected Premier Mounts as the ideal Partner for the project. Due to the fact that the installation would need to take place in the middle of the night, when outside support might not be available, ease of installation was critical to the success of the project. Premier Mounts' Solutions Group incorporated this into their drawings for Good, Better, and Best mounting solution options. From the choices given, Corey Airport Services selected the LMVS Press & Release™ Pop Out Ultra-Slim Mounts for their three 6x2 video walls, as well as a custom design for four back-to-back enclosures on the baggage claim carousels. 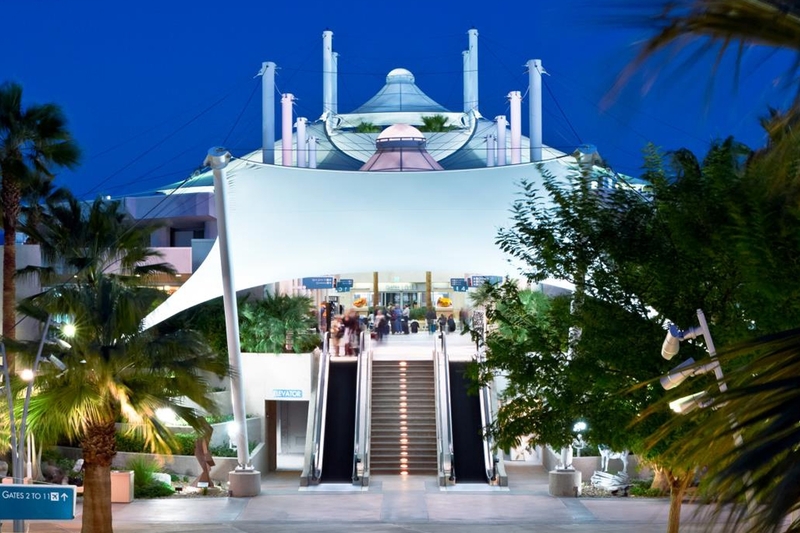 Corey Airport Services submitted the design drawings for the Palm Springs architectural review process, where each design was carefully critiqued. After one slight revision request, Premier Mounts' engineers took the final design to their in-house manufacturing facility to build each of the 4 enclosures to ship with the 36 LMVS stock mounting solutions. The back-to-back custom enclosures were designed to work with NEC P463 displays, using intake and exhaust fans on the inside face of the enclosures to dissipate display heat and maintain an optimal enclosure temperature. They feature a sleek stainless steel exterior for an aesthetically appealing appearance. 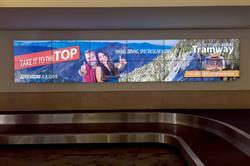 Each NEC display uses Broadsign software to showcase advertising in the baggage claim carousels of the airport, entertaining customers as they wait for their luggage to arrive. The stock solution LMVS Press & Release™ Pop Out Ultra-Slim Mount showcases ADA compliance for public spaces, making it the perfect solution for the three 6x2 video walls. It also features Premier Mounts' engineered Press & Release™ access design, allowing service access in under 5 seconds with a gentle press to the edge of the display. The LMVS' top-adjustable fine-tune mounting brackets also offer easy post-installation panel alignment. Each video wall used 46" NEC X464UN displays and Broadsign digital software, showing advertisements on a single content stream across all 12 displays. 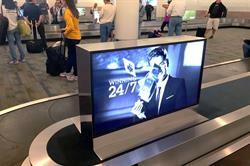 All mounting solutions were delivered in time for the project to remain on schedule, and Angel Ramos, the owner of Halo A/V, performed the installation after airport business hours without running into any complications. "The LMVS was the ideal mounting solution for these video walls," said Ramos, "The simplicity of the design, model-specific spacers, and post-installation leveling allowed me to complete the installation quickly, even though I had no previous experience with the product." 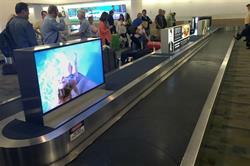 The project was such a success that Corey Airport Services contacted Premier Mounts to replicate it in their Dallas Love Field Airport in Texas, where they successfully installed (4) back-to-back enclosures using Samsung DM82D 82" displays for the baggage claim area of the arrivals gate. "We've been thrilled with our Premier Mounts Partnership," said Brigham Newman, "They offered us a fantastic product right up front, and really understood our needs with the design aesthetics and installation timeframe. Simplicity of installation is so important with projects like this, where we needed to work in the middle of the night. You can't always call installation support after business hours, which other manufacturers might not consider, but it was so important to the efficiency of the project. Premier really understood that requirement, and made sure that we were able to complete the project with ease." 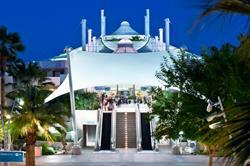 A fully detailed version of the Palm Springs International Airport Case Study is available here. An internationally recognized leader in the development and delivery of innovative mounting solutions for more than 38 years, Premier Mounts aims higher by providing state-of-the-art, top-quality mounting systems for A/V installations in any setting, no matter the challenge. Premier Mounts is always at the forefront of the industry, working in advance with OEM display manufacturers, to ensure that their designers, engineers and standard products stay ahead of the curve on tomorrow's installation technology. From universal to semi-custom and fully custom solutions, Premier Mounts is committed to providing insight to produce a better end experience for the users, provide longer life for the installation, and deliver a better total cost of ownership. For more information on Premier Mounts, please visit www.mounts.com, or call 800.368.9700.